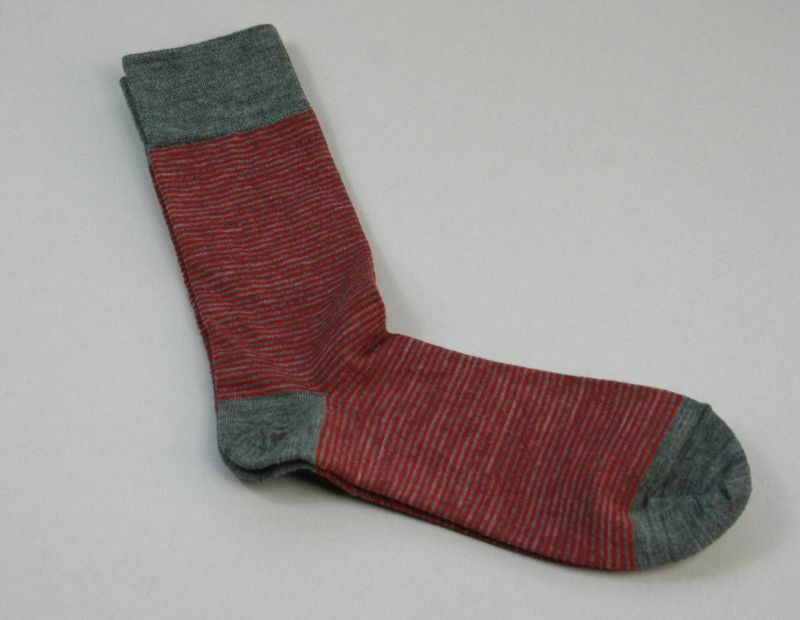 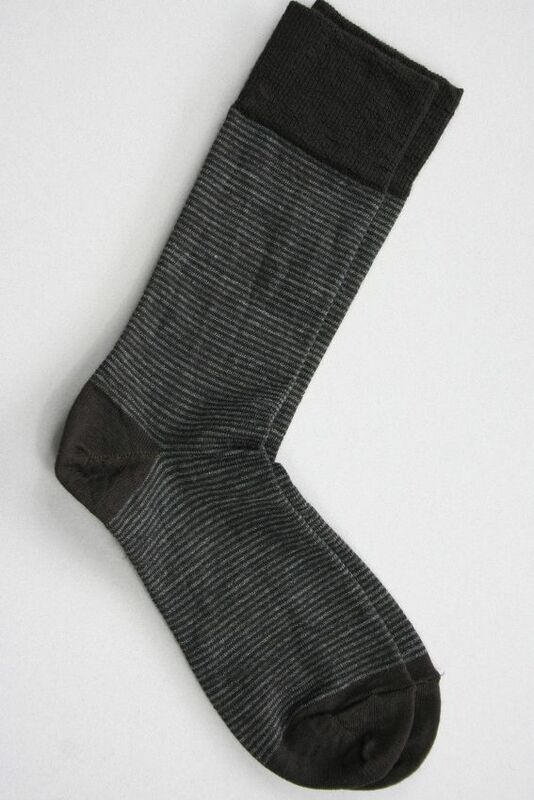 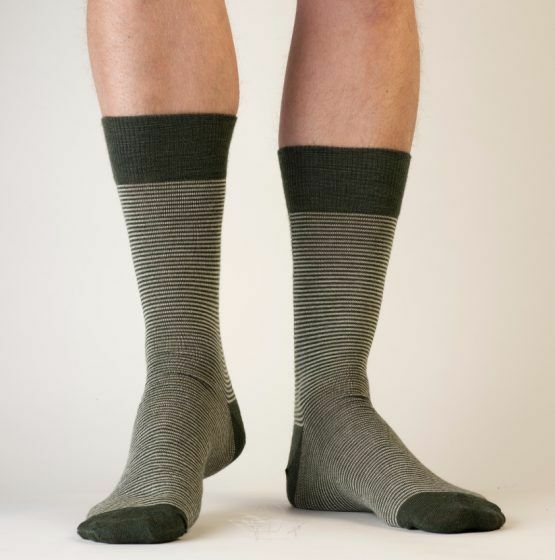 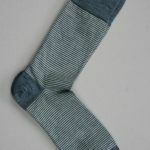 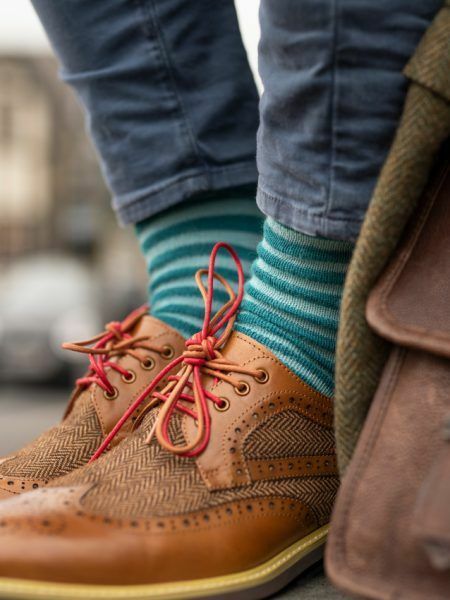 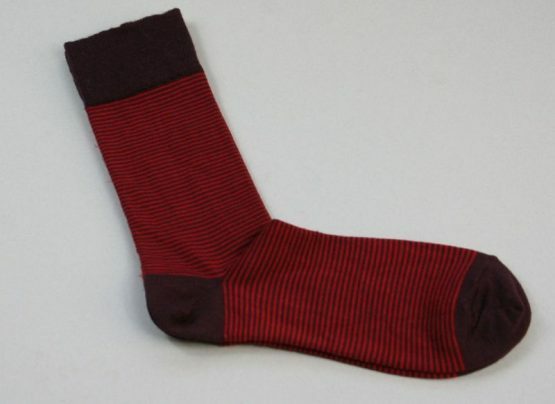 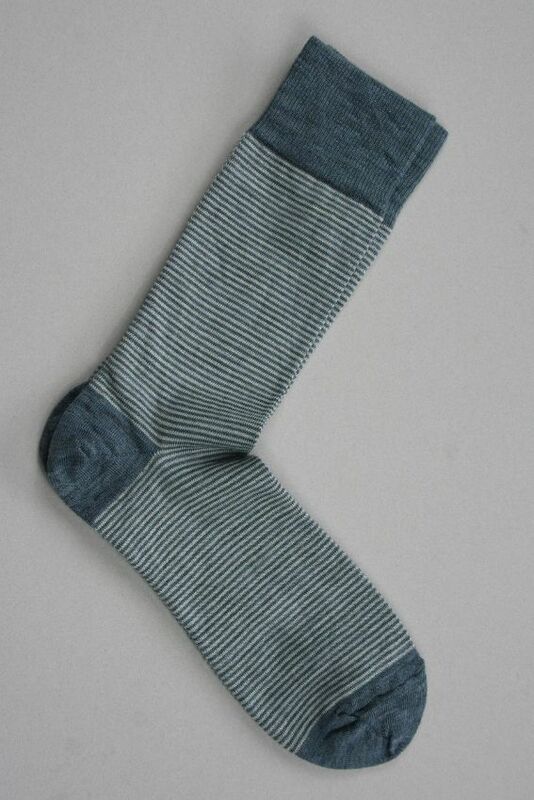 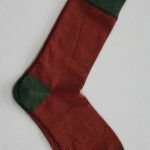 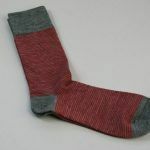 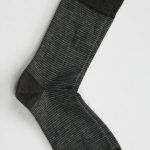 The Pencil Stripe Wool Sock is is a fine wool dress sock. 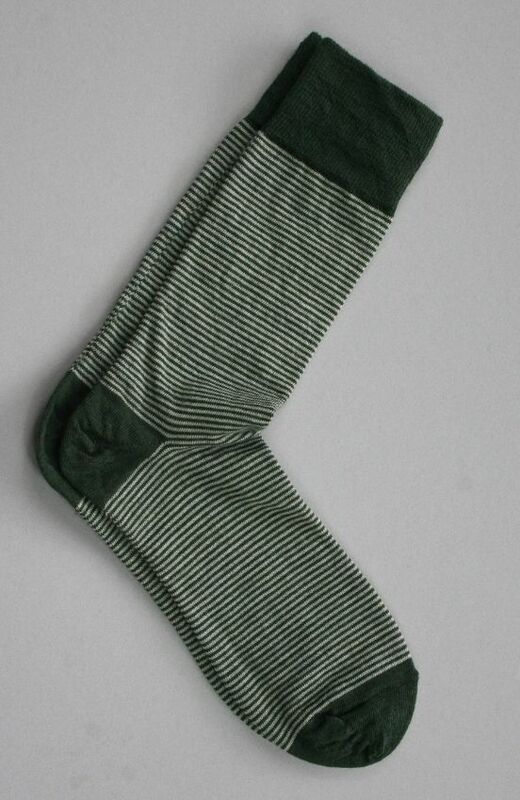 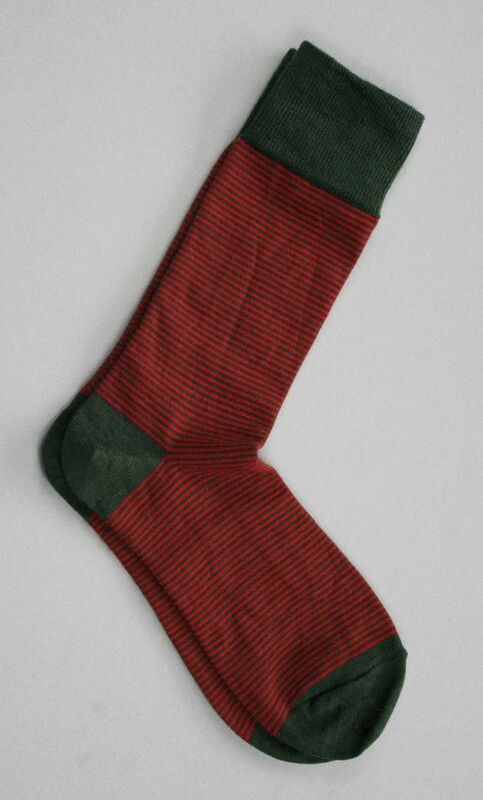 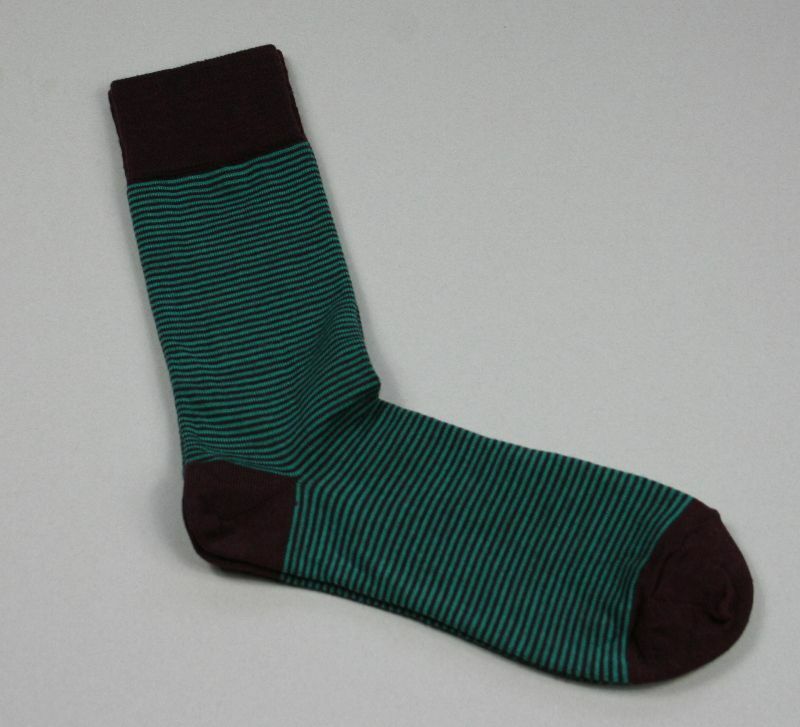 This ankle length sock has a solid heel, toe and cuff, with a narrow contrast stripe. It’s light enough to wear comfortably all year round. 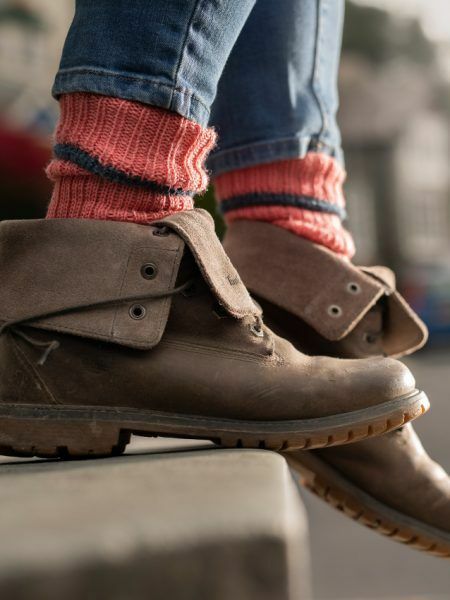 The sock is knitted from 60% Merino wool with 40% nylon for a comfortable fit. 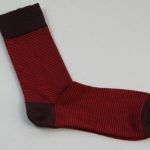 Buy three or more pairs for £9.50 each. 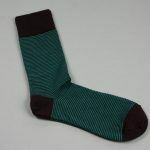 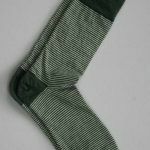 There are ten colourways – Raven (a very black brown), Dark Green, Dark Grey, Ecru, Bukhara (maroon), Island Blue, Mid Grey, Aubergine, Arsenic Green and Red in twelve variations. 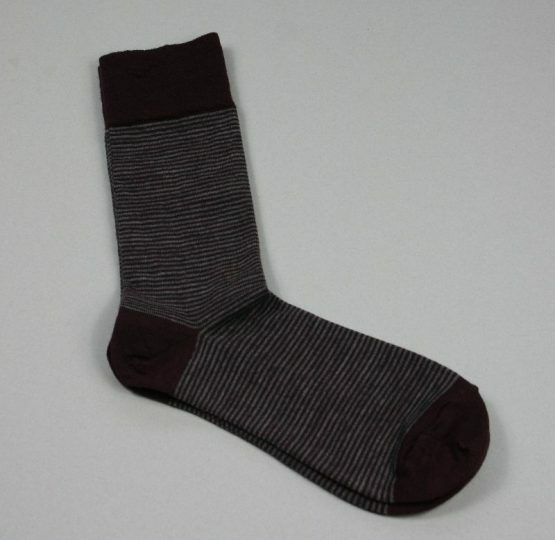 The new colour combinations of Aubergine/Red, Mid Grey/Arsenic, Aubergine/Arsenic, Aubergine/Mid Grey and Mid Grey/Red are available in small, medium and large sizes . The remaining colourways are available in mediums only.